Smartphones, wearables, and other mobile devices often use tactile feedback for notifying users. Since this can be distracting in other situations such as when users are already stressed, we investigated tactile feedback patterns which do not increase the user's stress level. In the "Emotion Actuator" prototype, we explore the concept of embodied emotional feedback, a new way of sharing emotions. 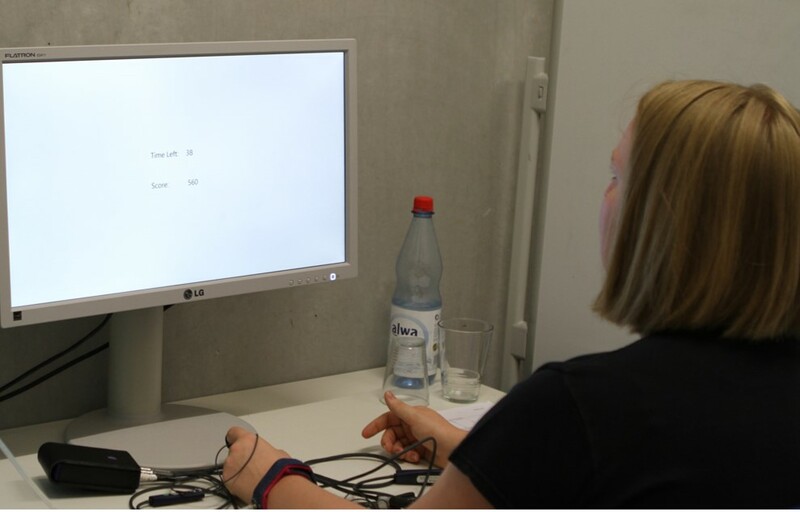 Over a distance it implicitly senses emotional states using EEG, communicates them to another person, and actuates the recipient’s body using EMS with gestures as a result of these states. We present the emotion actuator, a prototype to realize this idea, and three initial studies to evaluate the concept. Humans cannot focus hearing as they can with sight. This limitation becomes relevant in noise environments, were a multitude of competing stimuli might make impossible to listen to important information. We augment human hearing by using a directional microphone pointing in the same direction as the user is looking at. When activating the system, the users clearly hear the sound coming from right in front of them. Running apps and gadgets aim to provide runners with tools to collect data about their technique and performance. But this data is presented to users with metrics, numbers, and graphs, which runners find hard to relate to when re-living their run. 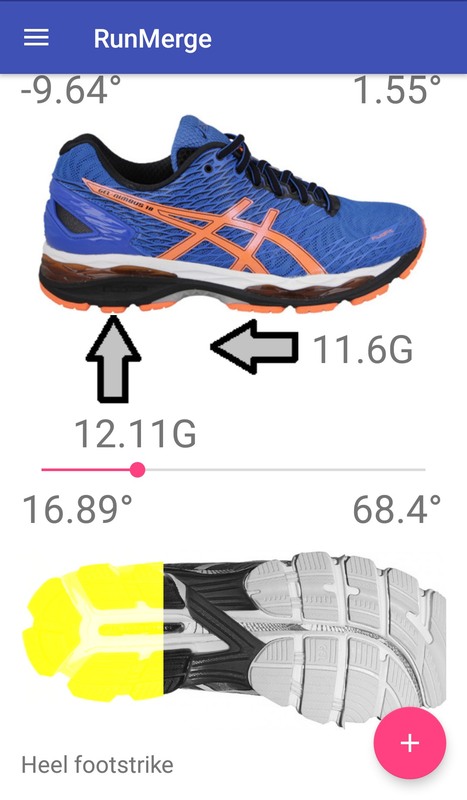 RunMerge uses the data collected using RunScribe, an off-the-shelf device that records the movement of the runner's feets, and combines it with GPS tracking provided by Runkeeper. 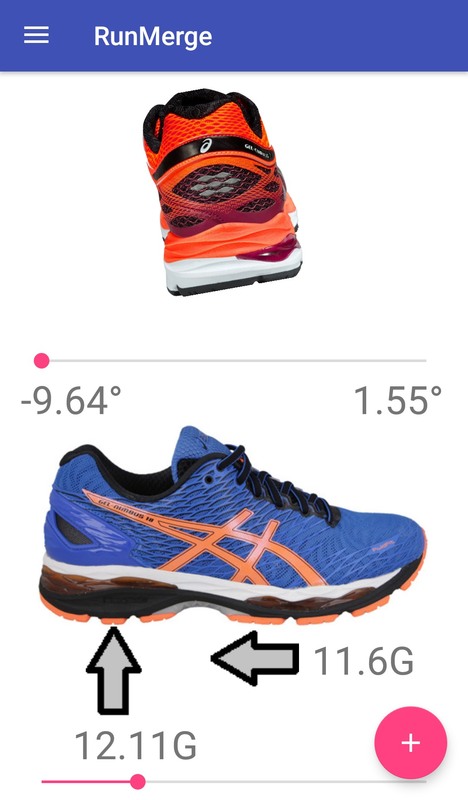 Through a clear, relatable interface, RunMerge shows the runner important features of their performance and technique, such as pronation or the intensity of the impact of the feet on the ground, for any given point of their route. This information is combined with breathing and heart-beat statistics, to complete the overview and help the runners reflect on their performance, technique and experience. Riding a motorcycle is an attention-demanding task to ensure control & balance. However, screen-based navigation systems force the rider to choose between safety and having guidance on the road. Thus, we devised a feedback system based on vibration and embedded into the safety vest frequently used by motorcyclists. This navigation tool indicates the distance and direction to navigate turns and roundabouts following the route planned on an Android application. When swimming in open waters, we have a difficult time swimming in the desired direction, since the lack of visual hinders our sense of orientation. 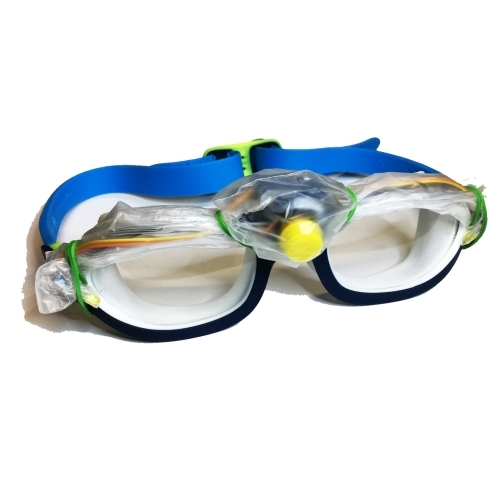 To tackle this problem, we developed a system that augments swimming goggles with a three-axial accelerometer and magnetometer. The device provides subtle visual feedback to the swimmer by actuating LEDs on the vision's periphery of the user, indicating towards which direction they should correct their course. 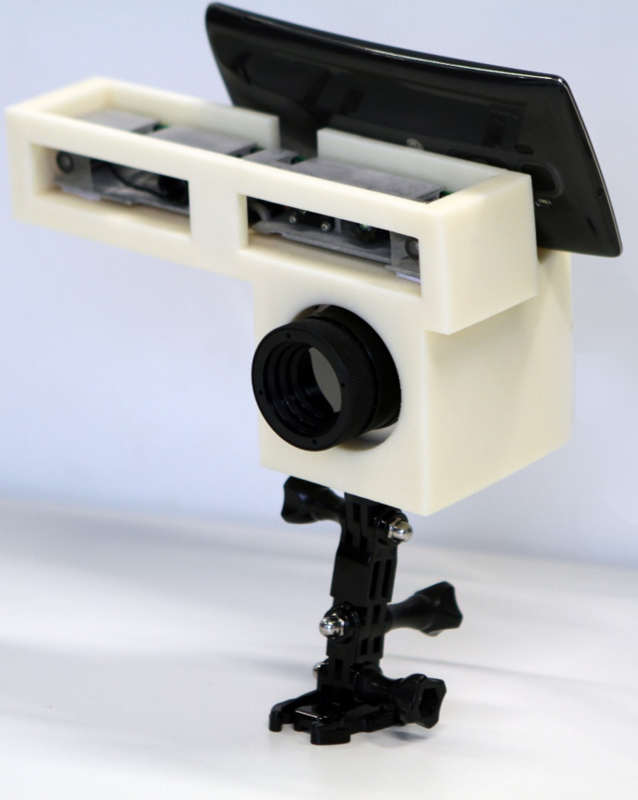 Vision Mode Selection prototype, built to allow users to switch between the electromagnetic spectrum, covering visible (RGB cameras), near infrared (depth camera) and far infrared (thermal camera). The aim is to give the user full control, on the choice of the spectrum they want to view their environment with. 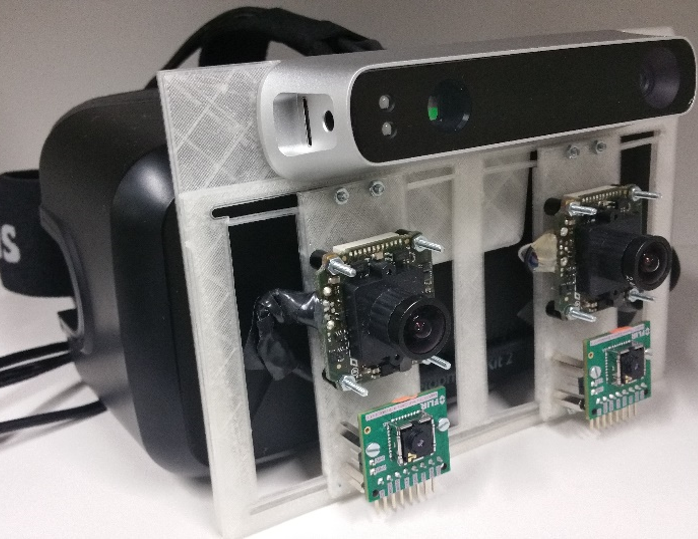 Head-Mounted Display Prototype built for amplifying the firefighters visual perception during operation. It extends their vision to include infrared spectrum using depth and thermal imaging, aiming to increase their awareness about the environment. The prototype was designed to be integrated in the firefighters environment seamlessly, hence we attached it to the helmet of the firefighters being part of their uniform.